As a registered charity, much of the work that we do is thanks to the generosity of our supporters and sponsors. The Barking Mad Cafe is a lovely, friendly cafe serving delicious good value food and drinks, based in Royden Park in Frankby, Wirral. It is run by the Friends of Royden Park who very kindly support the Centre by letting us have the use of the cafe 3-4 times a year for fundraising events. Every year, The Big Lottery distribute millions of pounds of the National Lottery’s good cause money to community groups and charitable projects around the UK. Grants from £300 to more than £500,000 are given to community and voluntary groups and charities. The Centre is delighted to have recently been successful in a bid for funding from The Big Lottery. CANCERactive was founded by one of our Trustees, Chris Woolams, following the sad loss of his daughter Catherine to cancer. The mission of CANCERactive is to empower people to increase their personal odds of beating cancer, to be able to take more control over their own lives and their own treatment and to make more informed, personal choices about their cancer treatment options. We work in partnership with CANCERactive and in memory of Catherine, we set up ‘Catherine Corner’ at the Centre as a small area for our visitors to read, study at the computer or simply sit quietly by themselves. The Caron Keating Foundation is a family run fundraising charity founded by Gloria Hunniford in memory of her daughter Caron, who sadly lost her battle with breast cancer in 2004. The Foundation makes a considerable difference to many individuals and families affected and dealing with cancer, through assisting small but significant cancer charities throughout the UK and financing professional carers and support groups. The main aim of the Foundation is to give a significant number of grants to small charities throughout Britain, one of which was given to the Centre to fund the set up of our Caron Keating Therapy Room to support our patients. Hurst’s is a chain of local bakery and sandwich shops in the Wirral area, with craftsmen working night and day making a full range of breads, pies, puddings and fresh cream cakes using only the best ingredients. Hurst’s generously support us by donating their delicious baked goods to sell at our Summer and Christmas Fayres and other fundraising events. Inner Wheel was founded in Manchester, England in 1924 with the main objectives promoting true friendship, encouraging the ideals of personal service and fostering international understanding. Clubs throughout the UK meet regularly and have an outstanding record of service to the community. Initially members provided goods, quite often homemade, to the poor of their communities. The Neston Inner Wheel have named Wirral Holistic as their Charity of Year for 2016/17 and will present us with a donation towards our funding in March 2017. The Manor Bakeries plant in Moreton, Wirral houses part of the Premier Foods group that makes Mr Kipling, Cadbury and Lyons cakes. Manor Bakeries provide their kind support to the Centre by donating baked goods to sell at our various fundraising events. The Morgan Foundation ‘makes a difference’ by supporting charities across North Wales, Merseyside, West Cheshire and North Shropshire. They provide grant funding for small to medium sized organisations who are addressing specific needs in these regions and we were delighted to receive funding to help towards the renovation of the Centre at the start of our journey. The Foundation also part fund our nurses’ salaries. 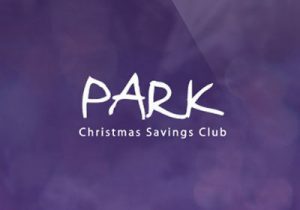 Park was founded by Peter Johnson in 1967, when his family butchers began inviting people to pay small weekly instalments for food hampers that would be delivered to them on a bicycle, just before Christmas. This idea was a huge hit and Park have continued to help make Christmas affordable for thousands of people since that day. Park hampers are hugely popular around the country and they very generously donate one to the Centre each year for our Christmas Raffle. Sainsbury’s has raised millions of pounds for many different charities, both large and small, their main focus being on health and wellbeing of families and children with a particular emphasis on healthy eating and active lifestyles. Sainsbury’s aim to make a positive difference in their local communities each year. All stores have a local charity that they support throughout the year, together with a small budget for making donations of raffle prizes or vouchers, and Wirral Holistic are proud to have been supported by Sainsbury’s over an 18 month period. For over twenty years Scouting has been helping people out during the Christmas period and delivering Christmas post. As well as being a great fundraising scheme, this is a real community event. Lots of Scout Groups/Districts do this and over the years have raised thousands of pounds, some of which is shared with funds raised with other local charities. 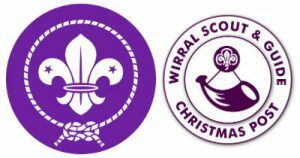 Scouts Post Wirral generously give a donation to the Centre every two years. There are nearly 80,000 Soroptimists worldwide, the majority of whom belong to their local Club, where they can make friends with like-minded women, have fun and work on projects that help improve the lives of women and girls locally, nationally and internationally. Several of the local Soroptimists Groups have kindly raised money for the Centre over a period of years. In addition to their national charity partnerships, Tesco work with hundreds of charities and local community organisations every year and we are pleased and proud to have their involvement and support at the Centre. The aim of Together Against Cancer is to change the lives of people with cancer by helping provide for them and their family when needed. The charity is able to provide ongoing support, healthy eating advice and information on using integrated therapies as well as providing funding and grants for people with cancer. Wirral Holistic and Together Against Cancer provide mutual support to one another and they kindly provided us with 2 years of funding to the Centre. Wirral Clinical Commissioning Group (CCG) came into existence as part of the reorganisation of NHS structures undertaken in response to the Health & Social Care Act 2012. Under this legislation they are responsible for commissioning health services for the residents of Wirral. Wirral CCG is currently working in partnership with us in the planning and delivery of our services. Wirral Kayak Challenge - Charity Evening at Acorn Pub Bebington Saturday evening 16th June. Supporting WHCS Therapeutic Cancer Centre and Clair House. (Live entertainment, Raffle ) a fantastic evening not to be missed.